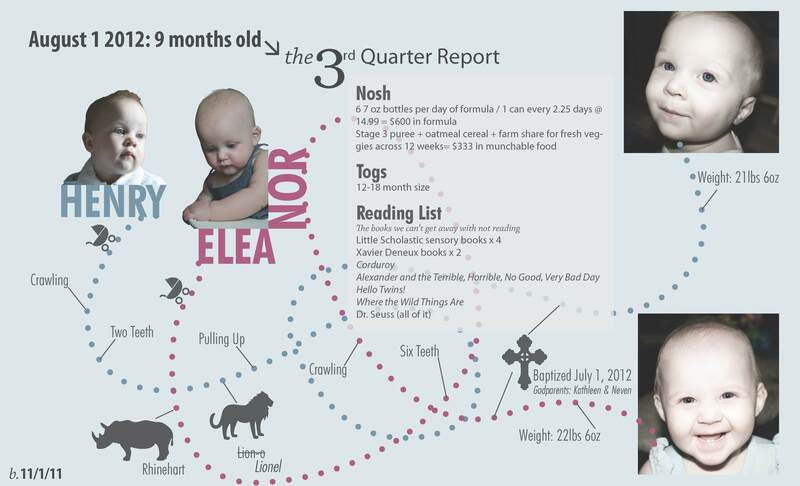 The babies are 9 months old today, and therefore have a new quarterly report. Their third quarter is one of their best yet! (click the link below for PDF).